Xanthophylls are oxygenated carotenoids abundant in the human food supply. Lutein, zeaxanthin, and cryptoxanthin are major xanthophyll carotenoids in human plasma. The consumption of these xanthophylls is directly associated with reduction in the risk of cancers, cardiovascular disease, age-related macular degeneration, and cataract formation. Canthaxanthin and astaxanthin also have considerable importance in aquaculture for salmonid and crustacean pigmentation, and are of commercial interest for the pharmaceutical and food industries. Chemical synthesis is a major source for the heavy demand of xanthophylls in the consumer market; however, microbial producers also have potential as commercial sources. In this review, we discuss the biosynthesis, commercial utility, and major microbial sources of xanthophylls. 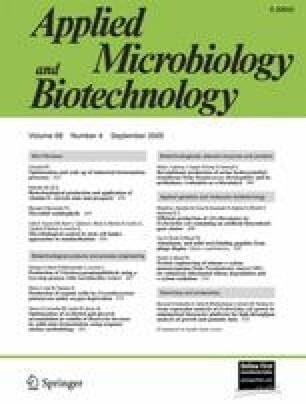 We also present a critical review of current research and technologies involved in promoting microbes as potential commercial sources for mass production. This work was supported by National Institute of Health Grant EY-11600 and from Research to Prevent Blindness, Inc. (New York, NY). P.S.B. is a Sybil B. Harrington Research to Prevent Blindness Scholar in macular degeneration research.